Firefox inappropriately adds scroll bars to many frames and images, causing many pages to look ugly / broken. I don't whether this problem is specific to armel or to certain display driver / resolution combinations. I haven't seen any similar problem on recent x86 versions of firefox yet, but maybe I haven't managed to reproduce the required set of circumstances. 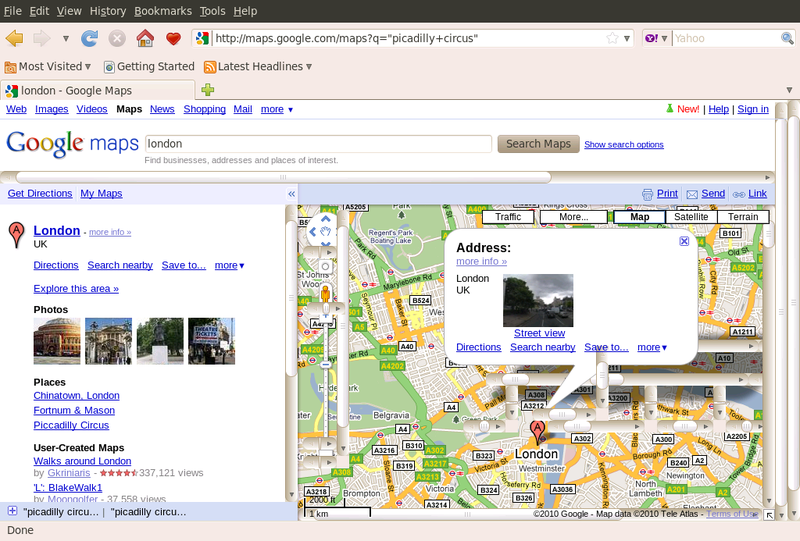 * firefox-1.png (http://www.yahoo.com/) - see the redundant horizontal scrollbar on the lefthand sidebar in the web page, and the scrollbars on the "Today's top searches" box -- if you scroll the top searches box right you just see white space. 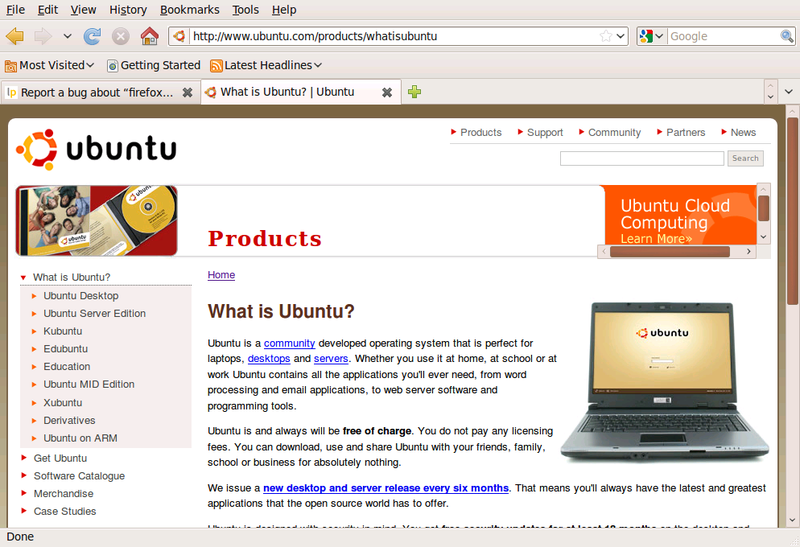 * firefox-2.png (http://www.ubuntu.com/) - see the "Ubuntu cloud computing" logo in the top right. I can also see this easily on my imx51 install, especially with the whatisubuntu page. mine actually looks slightly worse, as it has another scrollbar that Dave didn't have in his screenshot with a greyed-out, unusable scrollbar in the middle. on ubuntu/lucid on armel with firefox-3.6 we get scrollbars for frames. CCed roc and vlad on this. Wild guess would be that this is related to some rounding bug somewhere that causes frames to become smaller than expected and gecko compensating this by adding frames. I guess I need some device I don't have to try one of these builds? Could a Nokia N900 run one of your builds? If not, you can find me on IRC and I'd be happy to walk you through debugging this. A reduced testcase would be a good start. Hmm, I only have 3.5 on armel, ubuntu 9.04, and I don't see this there. Is there a deb of 3.6 that I can download that has a chance of installing on 9.04? The problem still seems to exist, and I've observed it on a few different armel platforms. It's just "firefox" for the 3.6 version. > there a deb of 3.6 that I can download that has a chance of installing on 9.04? It sounds like the same problem as most of the reftests failures I get on armel with 1.9.1. Bumped to Critical, as this breaks a LOT of websites, and is visible on almost everyone and makes firefox close to unusable on the sites it breaks. vlad, were you able to try the builds i provided on your system? @frode - This bug has been confirmed to be fixed. If you have some reason why you believe it is not, please explain further when changing the status, or better yet, open a new bug.